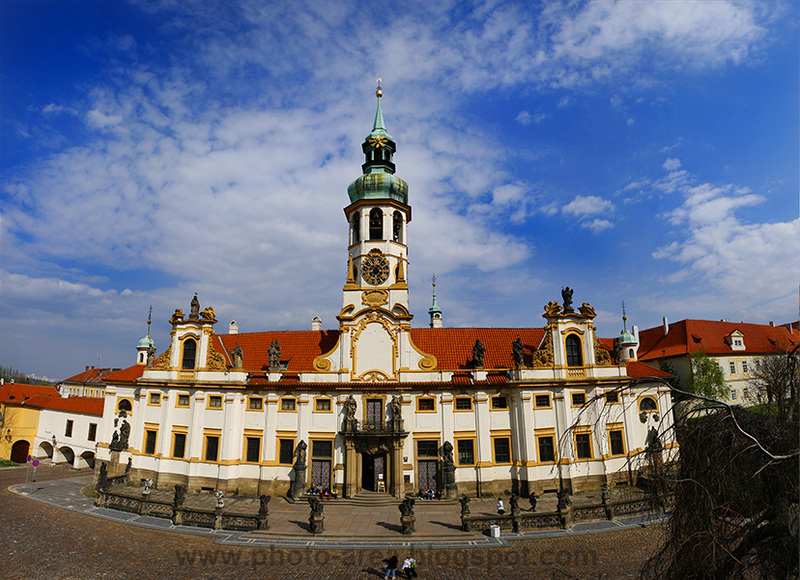 This beautiful baroque building is the Loreta monastery, located in the Castle District, Prague, Czech Republic. The square in front of the building is a good place to relax on a sunny afternoon, after a long walk through beautiful Prague. That's exactly what I did, and while I was resting by legs I let my camera and my eyes to do all the work (the result is this photograph and several others). Loreta is in fact an architectural complex consiting of a cloister, the church of the Lord’s Birth, a Holy Hut and the clock tower with a famous chime. Its construction was finished in 1631. Last time I checked, Loreta was opened for visitors Tuesday through Sunday between 9:00 - 12:15 and 1:00 - 4:30.